This is a sponsored post but all opinions about Dunkin’ Donuts are my own. My kids and I are huge fans of Dunkin’ Donuts. We all have our favorites and swing through the drive-thru at least twice a week. But, when new products are introduced, it’s hard not to visit more. 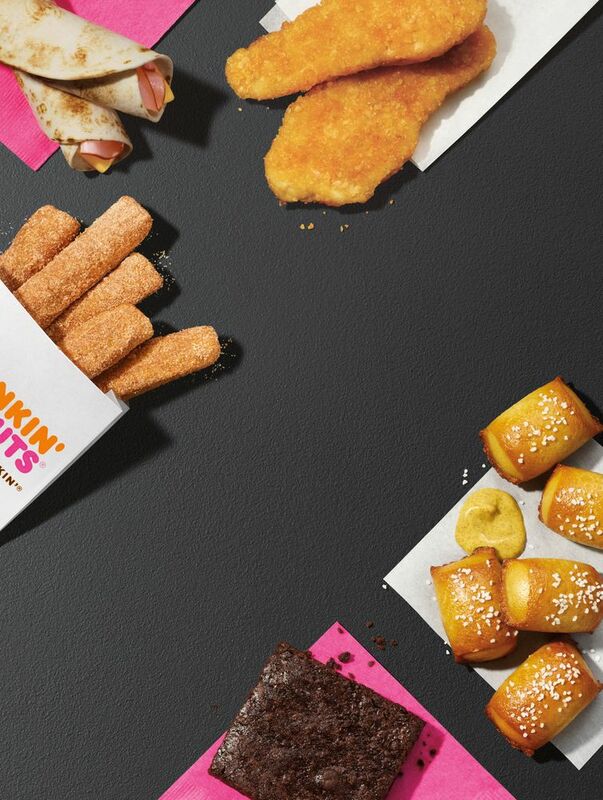 The menu was curated to pair perfectly with Dunkin’ Donuts’ signature beverages, making these new choice perfect on-the-go options for any time of day. As a mom to four children, having quick snacks for $2 each is definitely wallet-friendly. We’ve been on a lot of adventures this summer and we find ourselves in the car awhile, so I like to stop and get a treat and these snacks are great for all. The kids are starting to keep change from their piggy banks in plastic bags in the car, in case we stop, too! Guess, I better buy them a coin pouch or something, huh? throughout the country. Get’em while they’re hot!